Ruling on fee-charging schools says "it is entirely up to trustees how they decide to operate their school"
In a landmark case that is likely to have wide-ranging implications for charities that charge fees, the Upper Tribunal has said that key sections of the Charity Commission’s guidance on public benefit are wrong. The ruling comes in the Upper Tribunal’s response to a judicial review application by the Independent Schools Council, published today. The ISC argued that Charity Commission guidance was wrong in law when it said fee-charging schools must not restrict their benefits to those able to pay the fees. In its decision, the tribunal says the principle in the guidance that the opportunity to benefit from a charity’s work "must not be unreasonably restricted by ability to pay any fees charged" is wrong. It says another of the principles, that "people in poverty must not be excluded from the opportunity to benefit" from a charity’s work, is also wrong. "Apart from provision of a benefit for the poor going beyond the merely de minimis or token, we do not see that there is necessarily any obligation to give the poor the opportunity to benefit," the decision says. "It is... entirely up to the trustees how they decide to operate their school, subject only to acting within the range within which they may properly act." 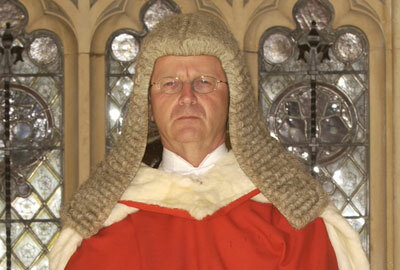 The judgement, which was made by the Honourable Mr Justice Warren, Judge Alison McKenna and Judge Elizabeth Ovey, does not quash the commission’s guidance altogether, but says various passages based on the two principles are "obscure or wrong in a number of respects" and that the guidance "should be corrected". The Independent Schools Council said the decision "overturned" the guidance on public benefit, put trustees firmly back in the driving seat and broke the link, that had been "doggedly pursued by the commission", between the giving of bursaries and public benefit. It also laid to rest the notion, the ISC said, that the commission could threaten independent schools with the loss of charitable status based on the commission's assessment of whether a school was doing enough to meet its public benefit requirement. The commission welcomed the decision, which it said "agrees with our interpretation of the law on the key issues". It accepted that "some parts of our guidance do not explain the law clearly enough" and pledged to amend parts of the guidance. The document says the commission and the ISC should work together to agree the appropriate level of relief that the ISC should be granted on its application for a judicial review. It says that if no agreement is reached, the tribunal will invite further submissions before making an order. A reference from the Attorney-General, Dominic Grieve, which was heard alongside the ISC’s claim for a judicial review, set out a series of specific circumstances and asked whether a fee-charging school would be deemed to provide sufficient public benefit in each case. But the ruling says: "This is all a matter of judgement for the trustees. There will be no one right answer. There will be one or more minimum benefits below which no reasonable trustees would go but, subject to that, the level of provision and the method of its provision is properly a matter for them and not for the Charity Commission or the court."